This series on diversity and inclusion is sponsored by Amway, which supports a prosperous economy through having a diverse workplace. Companies committed to diversity and inclusion are better equipped to innovate and drive performance. For more information, visit amwayglobal.com/our-story. There are plenty of good reasons that society is focusing on diversity these days. We’ve come to understand that bias is a sneaky thing, quietly, almost invisibly, skewing our judgment, and—though some biases are helpful—it frequently stands in the way of our treating others as we’d hope to be treated. In the workplace, it leads to hiring discrimination that turns away those who don’t belong to a favored demographic, depriving them of opportunities and leaving companies without the benefits of their talents. In life in general, as well as in hiring, it also causes us to undervalue, overlook, and even fear those who are different. We can best defeat these destructive biases by actively embracing diversity as a shared goal. Cognitive diversity is a term that recognizes that there’s value in bringing together people who approach things from different angles. In business, these multiple viewpoints can result in expanded problem-solving and creativity capabilities, and so, seeking cognitive diversity when vetting job candidates has become a priority for many companies. It’s a double-edged sword, though, since some firms—notably in Silicon Valley—have been accused of misusing cognitive diversity as a basis for claims that other diversification efforts are unnecessary. The term neurodiversity was coined by Harvey Blume in a 1998 article about the prevalence of autistic workers in Silicon Valley, according to Emily Y. Liu, writing in The Routledge Handbook of Neuroethics. Since then, it’s become a concept promoted by autistic self-advocates looking to change the view of autism from a pathology to simply another form of diversity. 1. Autism is a natural variation within human diversity. 2. Autism is an integral aspect of individual identity. 3. Autism does not need to be cured. 4. Understandings of autism should be informed by a social model of disability. 5. Autistic individuals deserve equal rights, appropriate accommodations, social acceptance, and self-determination. 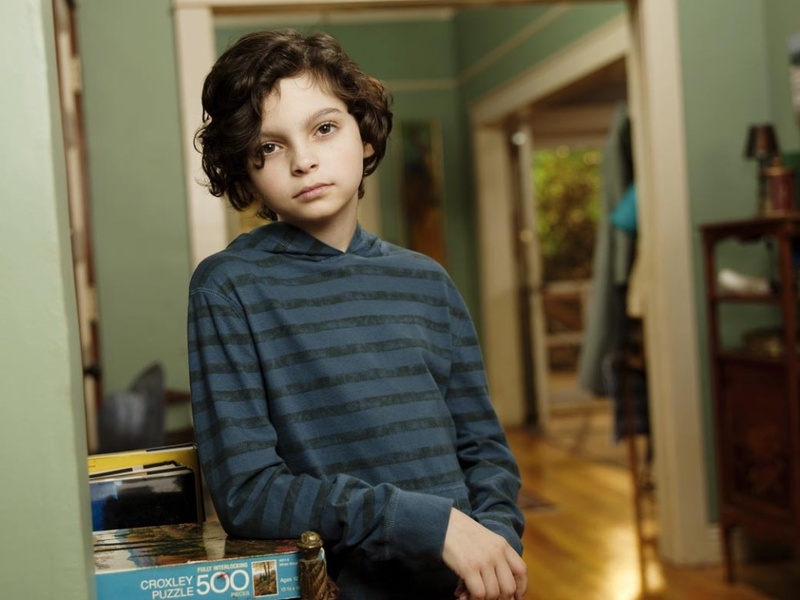 Interventions, such as those based on applied behavioral analysis treatments that attempt to condition away visible signs of autism, tend not to recognize or address the reasons an autistic individual may have for exhibiting common behaviors. Liu notes poet Julia Bascomb’s poem ‘Quiet Hands‘, in which she explains what her motor stereotypy means to her. Though neurodiversity is typically associated with autism, some, such as Heather Heying, feel it may apply as well to other, less dramatic, neurological differences. Certainly, the potential for obtaining fresh, varied perspectives from efforts to make a workforce more diverse can be thwarted if those in charge of hiring gravitate to the same sort of people regardless of their demographic attributes. What good is a rainbow workforce of people who all think in lock-step? An appreciation, therefore, of the benefits of cognitive diversity has been on the rise, with some interesting research from Harvard Business Review (HBR) that backs up its value for a company. Knowledge processing: The interest in gathering and using new information in solving a problem. Perspective processing: The desire to work from the pre-existing knowledge of themselves or other co-workers to solve a problem. 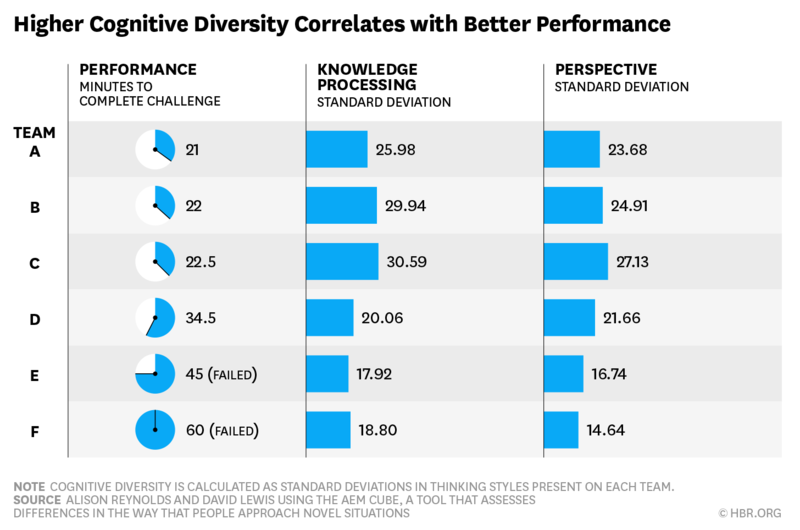 HBR found “a significant correlation between high cognitive diversity and high performance.” The three teams with greater cognitive diversity completed the exercise faster, while those with less took longer, or didn’t complete it at all, a compelling endorsement for seeking cognitive diversity. Claims of cognitive diversity—sometimes called viewpoint diversity—have recently been used in response to attempts at correcting the under-representation of minorities and women in Silicon Valley companies. According to TechRepublic, 83% of tech executives are white, and more than 50% of Apple and Google employees are, too. The percentage of women mostly hovers in the 30% range, says Business Insider. Be that as it may, some in the industry resent corrective hiring practices, and have done so since the 1978 Regents of the University of California vs. Bakke Supreme Court decision that established affirmative action on a national level. In some cases, the promotion of cognitive diversity as a hiring goal addresses concerns of whites, and especially males, that they are the ones being discriminated against. Perhaps the fullest presentation of the anti-diversity nature of the cognitive diversity proponents was a 2017 Google memo called ‘Google’s Ideological Echo Chamber‘. Purported to be an even-handed summary of diversity issues, its point of view is quite clear, and it’s laced with troubling assertions. Apple has its own problems, with a now-disavowed 2017 statement from then-Vice President of Inclusion and Diversity Denise Young Smith saying, “There can be 12 white, blue-eyed, blond men in a room and they’re going to be diverse, too, because they’re going to bring a different life experience and life perspective to the conversation.” Smith has since noted her “regret” for her wording in an email sent to Apple employees. Employees typically recommend people similar to them in racial identity and gender, so it requires dedicated effort to recruit and hire people who don’t already have identities that match up with those of current employees. Counting up variations of “viewpoints”—however one might do so—won’t achieve that. And, to potential applicants from underrepresented groups, statements about “cognitive diversity” will send an unwelcoming message about a company’s real priorities for inclusion. Ultimately, it may be, as evolutionary biologist Heying says, that the success of our species is advanced by the ways in which we’re different from each other. As much as it may cause us to rethink how we view each other and how we hire, recognizing and celebrating diversity is clearly worth it. Our myriad of physiological differences, our perspectives, our experiences, and our cultures, make us just that much more ingenious and unique.